Learn all of the ways you can incorporate marble into your home design. Marble is a beautiful stone that makes an elegant statement in any home. 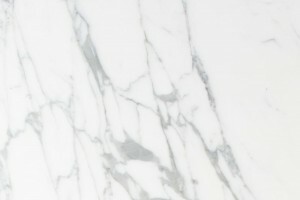 While you may love the idea of using marble because it is beautiful and easy to clean, you may be unsure of the best way to incorporate it into your home design. There are many ways to do this, and it can be done on any budget. One way to use marble in your kitchen, in addition to the traditional cutting board, is to install it as a backsplash. It cleans up easily and coordinates well with most countertops. Of course, you could do the whole countertop in marble, or even one section of it. It looks beautiful and is quite functional because a marble surface stays cool, doesn’t stain, and is great for kneading bread. If you live in a warm climate, you could consider installing marble floors because they stay cool and resist wear. That means that marble is a good choice for floors in entryways, living areas, and bedrooms. Oh, don’t you just love the look of marble stairs? So grand, stately, and impressive! Pair them with a chandelier in an entryway, and you’ve made a dramatic statement. Marble stairs are very sturdy and can be combined with wood if that works for your home design. Marble is an excellent surface for bathrooms because it is easy to clean. It is smooth, so soap scum will not stick to it. Put marble on the floor, the counter, or on the wall for a magnificent touch. An easy way to create a design accent is with a marble table. It is strong and sturdy and goes with any décor. Put a marble-topped coffee table or side table in the living room, den, or library to add a natural element to the design. Want to make a big statement? Put a marble accent wall in a living room or den. It will be bright, shiny, and exude a feeling of luxury. People will definitely notice it. A marble wall will coordinate well with wood or steel furniture, traditional, modern, or contemporary. To incorporate marble on a small scale, start with a lamp that has a marble base. It will reflect the light and really brighten up the room. Try a pair of lamps on each end of a long table to maximum effect. This entry was posted on Friday, February 9th, 2018 at 3:03 pm. Both comments and pings are currently closed.